Servers coming down for an update. 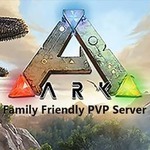 It seems that Ark has pushed an update that is preventing us from getting into the game and warning players that the servers are about to come down for an update. Players that already have the update will not be able to log on to the server until the servers are updated. The server will be coming down shortly for the needed update and will be back online after we backup the save game files and then update the servers to the latest patch. Save files have been backed up and the servers are now being updated. All servers should be back online shortly.